The state of Nebraska’s top-rated football recruit in 2018, 4-star tight end Cameron Jurgens‍ of Beatrice, signed his letter of intent to the University of Nebraska Wednesday during the early signing period. Although Jurgens had been committed to the Huskers since August 2015, nothing was official until he put his John Hancock on paper. During a teleconference Wednesday afternoon, Nebraska football coach Scott Frost said his staff is excited to get the in-state recruit. “A kid like that needs to stay in the state of Nebraska,” Frost said. During his introductory press conference early this December, Frost mentioned the fact that a number of in-state players are going elsewhere to continue their careers at the college level. Although he was speaking about the walk-on program specifically, it is hard to imagine Frost wouldn’t feel the same about preventing the Cornhusker State’s top recruits from playing somewhere else, too. From 2004 to 2017, Scout.com lists 162 Nebraska recruits that went on to either enroll or sign with an FBS school. Of those 162 recruits, only 92 signed or enrolled at NU. That means 43 percent of those recruits left the state and played at a different school. Many of those in-state recruits were some of the best in their respective classes. Of the 100 players listed that ranked top-10 in the state, only 41 signed or enrolled at Nebraska—less than half. Many of those top recruits went to other Power 5 schools, and didn’t go far from home. Twelve of the 59 recruits that left the state of Nebraska signed or enrolled at either Iowa or Iowa State, another 10 at either Kansas or Kansas State. A large portion of the state’s top recruits went to a program with a coach that has connections to Nebraska. Ten of the 59 went to Ohio, where former Huskers head coach Frank Solich has coached for the past 13 seasons. Another seven went to Wyoming, where Nebraska alum and former assistant Craig Bohl has coached for the past four. When Frost was recruiting for UCF, he snagged a recruit from the Cornhusker state, too. Three-star dual-threat quarterback Noah Vedral, of Wahoo, signed with the Knights last February. Vedral even saw playing time as a true freshman this season, appearing in eight games in cleanup duty. Vedral completed 22-of-29 attempts for 276 yards and a touchdown. He also added 77 yards and two touchdowns on the ground. 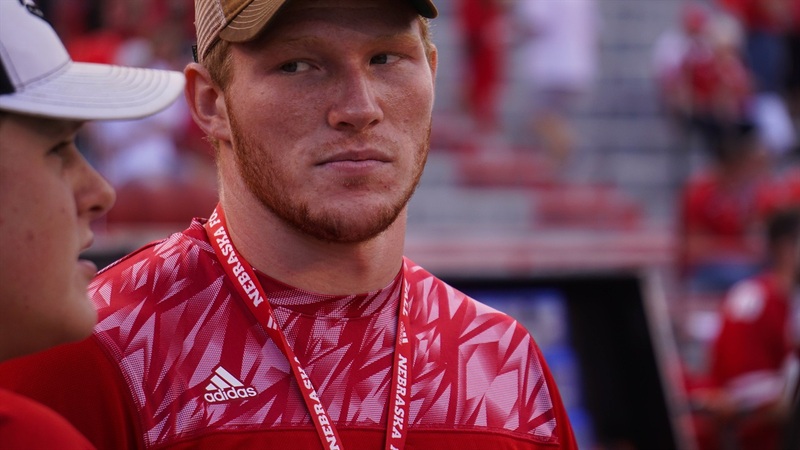 Vedral was ranked as the sixth-best recruit in Nebraska in 2017, but the Huskers have lost higher-rated talent than that in recent years. From 2004 to 2017, four of the past 14 top-ranked players in the state of Nebraska left for a different FBS program. Most recently in 2016, Noah Fant, a 3-star athlete from Omaha South enrolled at Iowa. Fant led the Hawkeyes with 469 receiving yards and nine touchdowns this season as a tight end. In 2012, Tay Bender, a 3-star dual-threat quarterback from Lincoln Southwest signed with Kansas State. Bender left the program and played for Iowa Western CC and Southeast Missouri State. In 2009, 3-star offensive tackle Jon Lechner, of Creighton Prep, enrolled at Ohio, and in 2007, 4-star offensive guard Harland Gunn, of Omaha Northwest, enrolled at Miami. Gunn played in 12 games with the Atlanta Falcons in the NFL. Despite losing so many in-state recruits to out-of-state programs, the state of Nebraska actually ranks eighth best in the rate of FBS recruits that stayed at an in-state FBS program. With NU being the states’ only FBS program, Nebraska still manages to keep a decent portion of its in-state recruits. States like Texas, which has 12 FBS programs, had 5308 FBS recruits from 2004 to 2017 and only managed to keep 48 percent of those recruits from leaving the state. Utah, which has three FBS program, has the kept the highest rate of FBS recruits from leaving the state. Sixty-six percent of its 410 FBS recruits from 2004 to 2017 continued their careers at an in-state program. Remember, these numbers do not include players who went to FCS programs. As for the 2018 class, just two of the five players from the state of Nebraska in the 247Sports Composite are either committed or signed to NU. Jurgens signed his letter of intent on Wednesday, and Masry Mapieu, a 3-star defensive tackle from York, has been committed since June 2016. Another 3-star defensive tackle, Bryson Williams‍ of Lincoln Southwest, signed his letter of intent with Wisconsin. Three-star outside linebacker Zach Schlager of McCook signed with Colorado State, and 2-star tight end Bryce Stai‍ of Firth signed with Ohio. Although the Huskers missed out on a number of the top in-state recruits, Frost and Co. have put together quite the list of preferred walk-on commits and signees—13 to be exact. Frost said those in-state players are what the program needs in order to be successful. “When you have a bunch of kids from the state of Nebraska that are in this program, those are the type of players that would bleed for this place and are going to work hard to make this work,” Frost said.